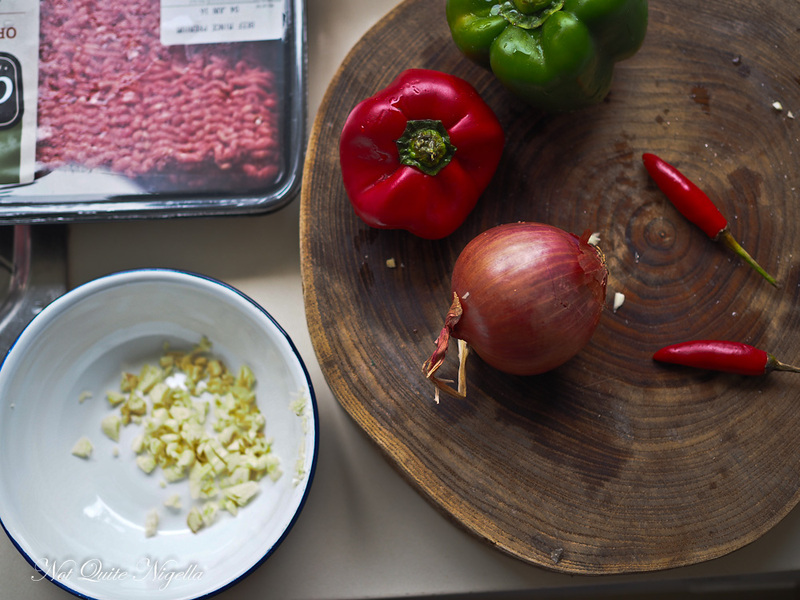 How To Make Your Own Amazingly Delicious Turkish Pide! Wow. Just wow. 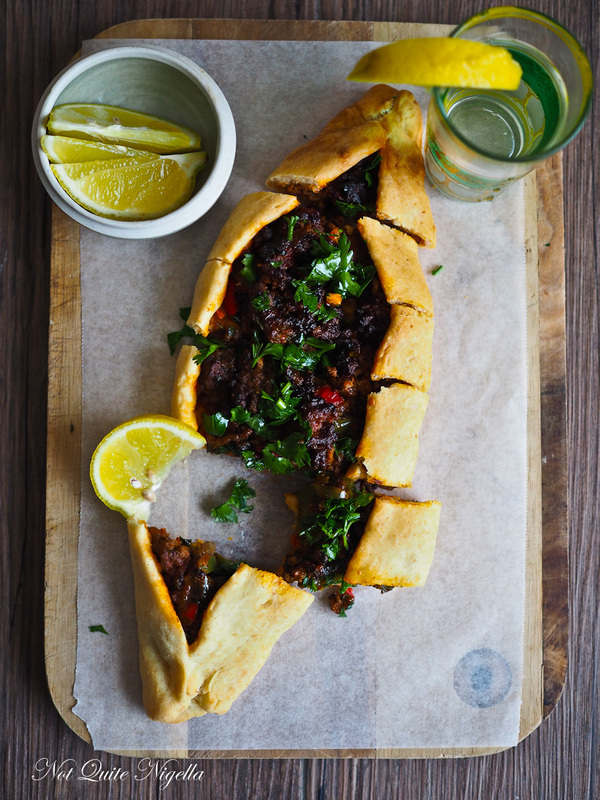 The moment I pulled these Turkish pide out of the oven I knew that they were something special. But I wasn't quite prepared for how really amazing they would be. 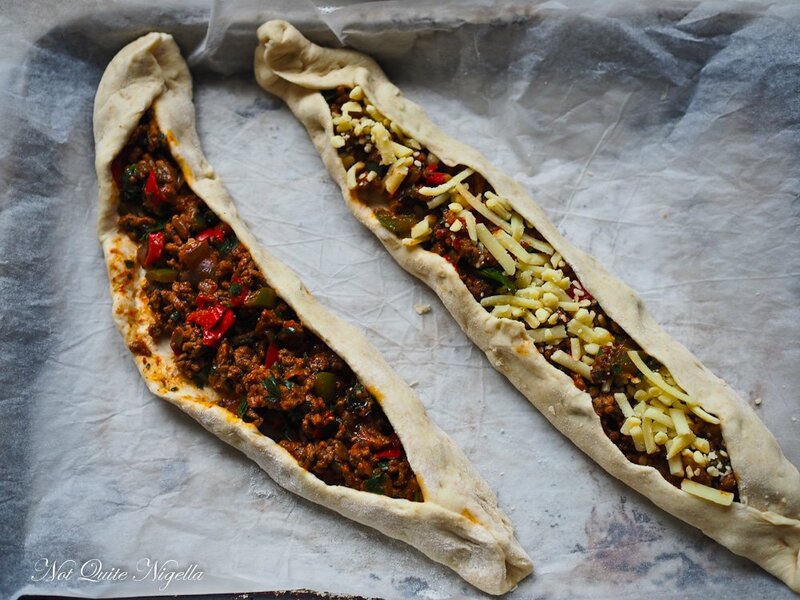 Turkish pide are breads that have a centre of filling - be it beef, cheese or vegetarian. 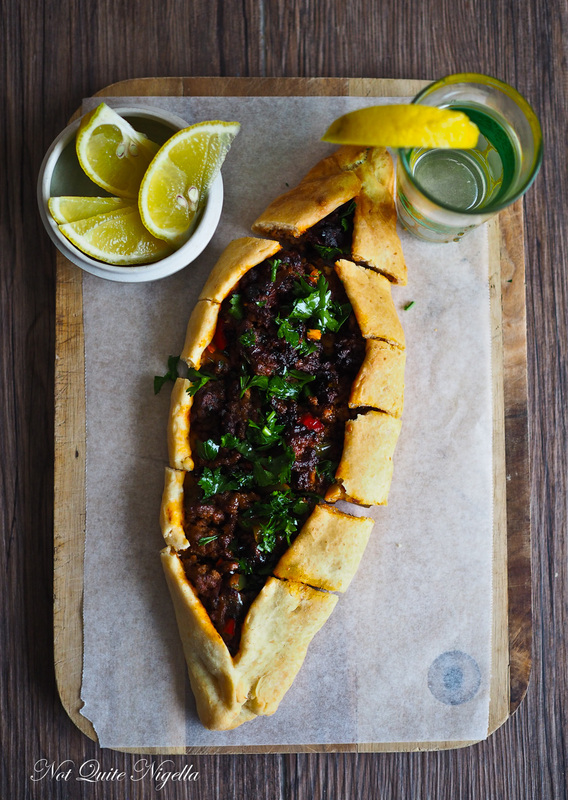 Pide is usually shaped in an oval or "boat" or round shape and is commonly described as a Turkish pizza. They are served cut up and with a wedge of lemon. 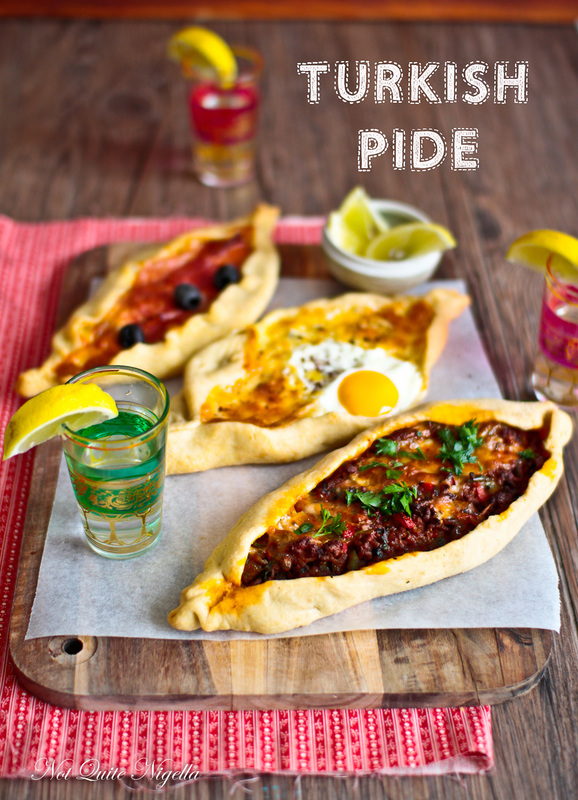 Pide is pronounced pee-day did you know that the plural of pide is pideler (pee day lair)? They're traditionally cooked in clay or stone ovens. 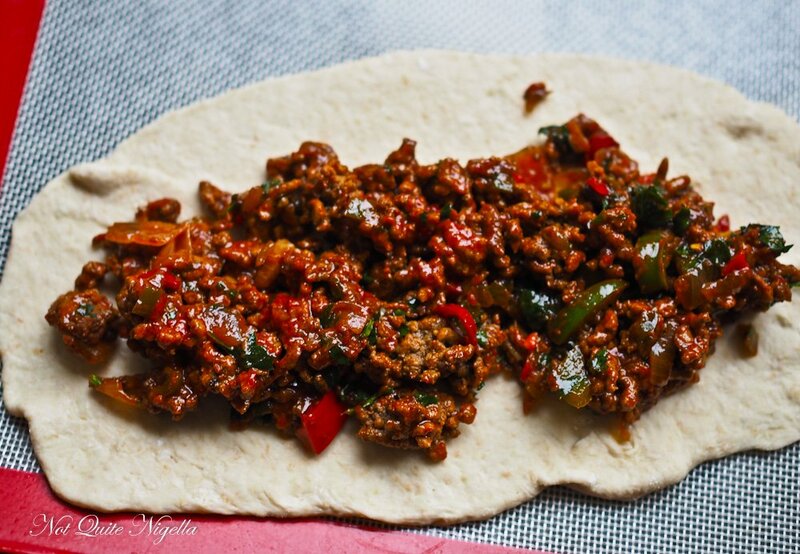 This version is a beauty and the filling is made with a spiced beef filling. I came across the recipe on Gourmet Getaways and adapted it. I can't claim that it's authentically Turkish because of my adaptions but I will guarantee one thing. It may be one of the best things you will make and eat. I promise, pinky swear. And yes my lovelies, this is a pushy recipe. Because if you've got people coming over and need to feed 8 people something delicious, make these. Oh and it is also cost effective. You can make this whole recipe for around $20 or so. Am I being too pushy? Okay I know, I get that way when I really want you to try something. I'll try and calm myself down. Speaking of pizzas, the other night while we were driving across town to try some Persian food, Mr NQN spotted something rather odd in the distance ahead. It was a ute that was hauling a pizza oven. But it wasn't just a pizza oven but it was a pizza oven that had a fire roaring away! The ute was driving quickly and as we got closer we peered in. The driver didn't seem particularly disturbed or worried. "Is that normal?" we wondered aloud. Miss America laughed and screamed and we tried to warn the driver yelling out, "Your oven is on fire!" while passing them. I don't think we were the only ones. And you know what? I was curious enough to want to google it and someone else spotted what I think was the same ute a few days before carrying a pizza oven that was on fire! So tell me Dear Reader, have you ever seen such a thing as the pizza oven on fire being transported? 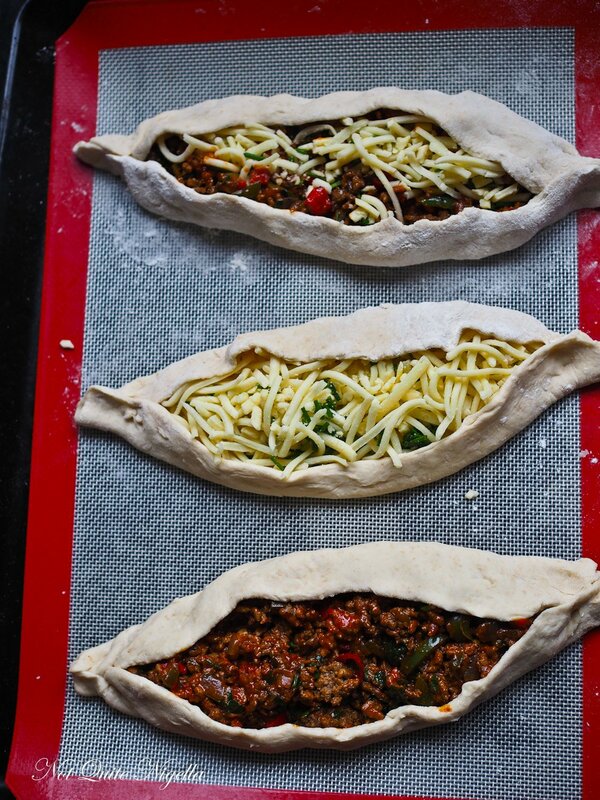 And have you ever made pide before? What topping do you usually ask for on a pide or pizza? Step 1 - Make the dough. Add the flour, yeast, sugar, 275ml water and oil (do not add salt yet). Knead on a lowest speed until elastic. Add more water if needed. Form into a large ball and then place in a large bowl (the mixer bowl will do) and cover with cling film and allow to rise until triple in size, about an hour. 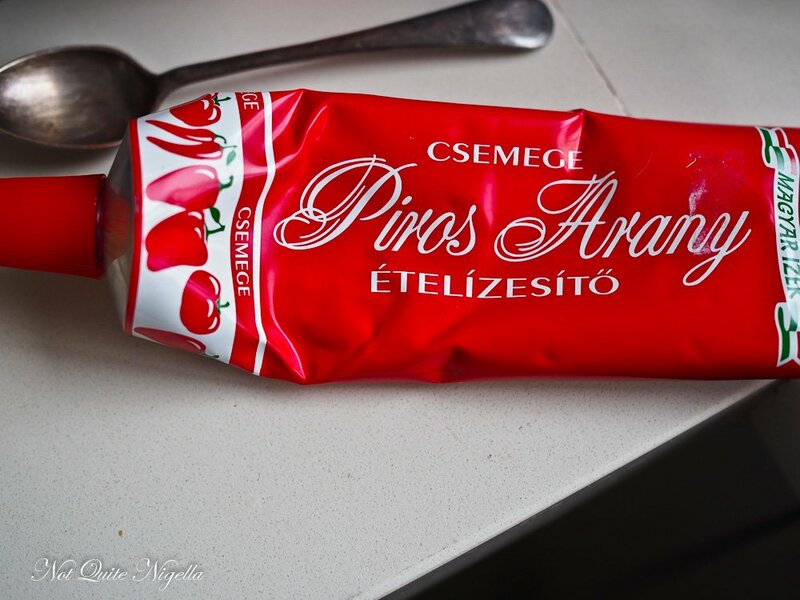 As it is Winter I placed it in an oven that I preheated to 50C/122F and then turned off. Step 2 - While the dough is rising, make the filling. Heat the oil in a large frypan and add the onion and garlic and saute for a minute or two. 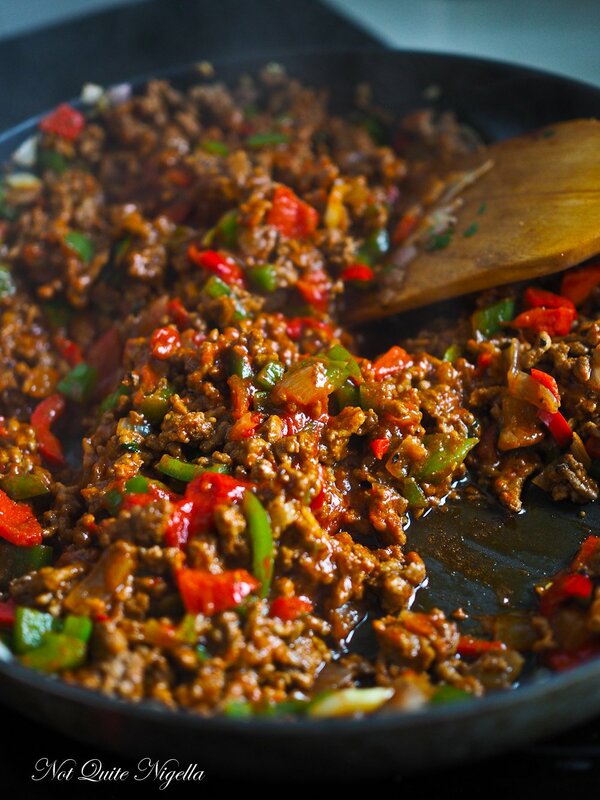 Add the minced beef making sure to break up any large chunks. Fry for a couple of minutes, then add the capsicum, capsicum paste, tomato paste, chillies, smoked paprika, ground cumin, salt and pepper. Fry until cooked, about 5 minutes. Add 3/4 of the parsley reserving 1/4 of the bunch to decorate. Allow to cool. Step 3 - Line three trays with parchment and preheat oven to 200C/400F. Punch down the dough and knead the salt in at the lowest speed. Allow to rest for 5 minutes and then shape into a log. Divide into 8 pieces and flour the bench well. 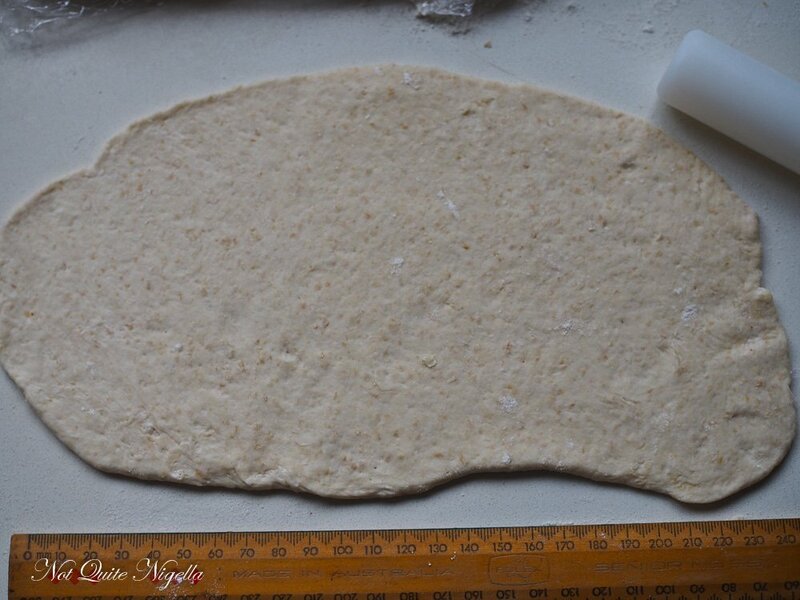 Keeping the dough covered, take 1 piece and shape it into fat rectangle or oval. It doesn't really matter how long they are but I kept mine around the same size so I could fit them on the tray. 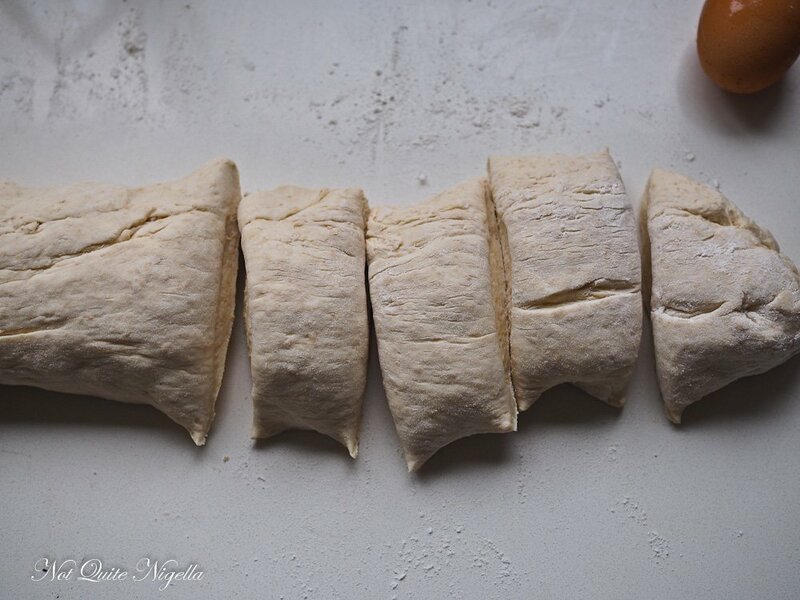 Gently lift the dough rectangle to the lined tray. 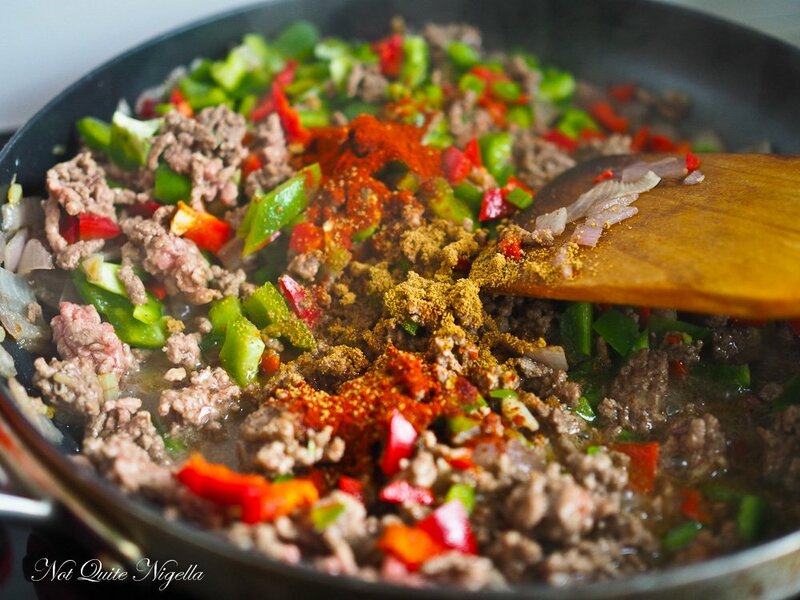 Fill the centre with the cooled beef mixture. Fold over the sides to enclose the mixture. Then brush the edges with the extra 1/4 cup of oil. Bake for 12-15 minutes. Add some fresh parsley on top and serve with lemon wedges. Other fillings can include: sujuk and mozzarella, pastirmali (air dried Turkish beef), 3 cheeses and chives; hot salami, cheese & olives, cheese, egg & sumac. These ones look a bit oddly shaped but once they baked up they looked great! featureA Tray of The Most Luscious, Delicious Pizza Scrolls! recipeThe Amazingly Delicious Chicago Deep Dish Pizza! feature A Tray of The Most Luscious, Delicious Pizza Scrolls! recipe The Amazingly Delicious Chicago Deep Dish Pizza!